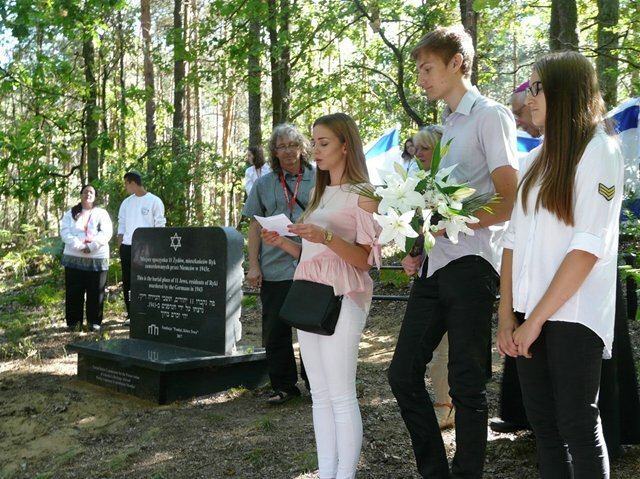 In Zalesie the Lasting Memory Foundation located and commemorated a burial place of 11 Jews, including 3 children, murdered by the Germans in 1943. 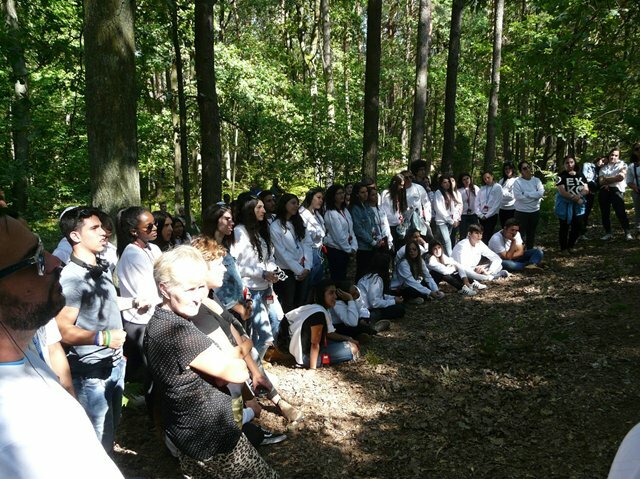 Youth from Gedera in Israel, students and teachers from a high school in Ryki as well as clergy and local residents came to the grave to pay tribute to the Victims. The guests were welcomed by Bishop Mieczysław Cisło, representative of the Polish Episcopate, and Zbigniew Niziński – the Foundation’s President. Zbigniew Niziński began the ceremony by telling the story of the events that had taken place there. The murdered Jews came from Ryki. They had escaped from the Ryki ghetto. They were hiding in a forest in Zalesie and shot to death during a German manhunt. 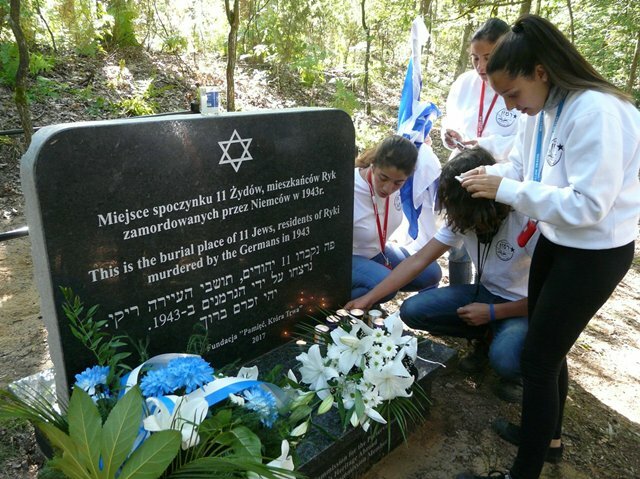 On a German command, Zalesie residents buried the Victims in one pit. 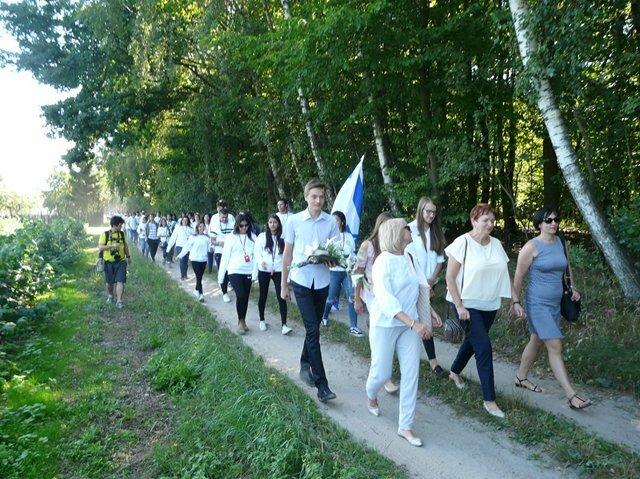 Thanks to witness accounts, a name of only one of the Victims has been restored: Nuta. 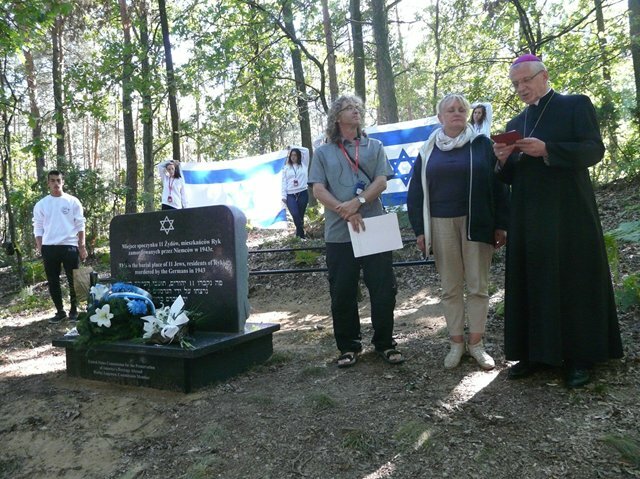 Bishop Mieczysław Cisło talked about the brotherhood between Polish and Jewish nations and the need to uphold the memory of the dead. 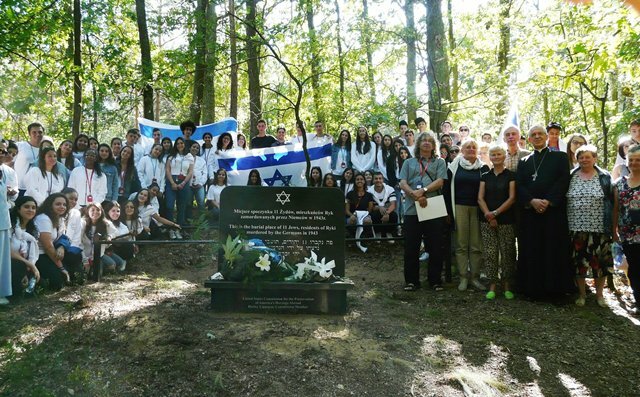 The youth from Israel and the high school students from Ryki performed songs and laid flowers next to the grave.